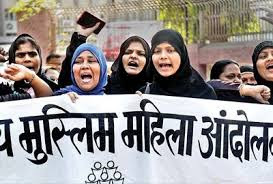 Saeed Mirza, Feroze Khan, prominent Muslim writers, activists oppose triple talaq, say it's "not God given"
The signatories include well-known film maker Saeed Mirza, top theatre director Feroze Khan, screen writer Anjum Rajabali, corporate executive Anwar Hussain, communications designer Aamir, activists Mithiborwala, Irfan Engineer and Javed Anand, senior journalist and poet Hasan Kamaal, screen writer and playwright Javed Siddiqi, creative director Kader Qazi, and fiction writer Rahman Abbas. “While the triple talaq method of instant divorce is today banned in more than 21 Muslim majority countries, including Pakistan, it continues to be justified by the ulema in India as legally valid, even though theologically repugnant”, it points out. “We bemoan the fact that instead of doing so they continue to justify the Muslim male’s privilege of unilateral and instant divorce, often on a mere whim or fit of anger”, it adds.